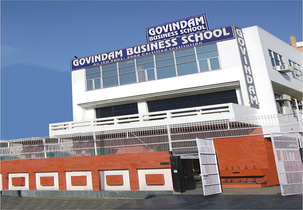 How is admission done in Govindam Business School ? Admissions are based on performance in GD/PI. What are the eligibility criteria in Govindam Business School ? Should be a graduate in any stream from any recognized university. What is the fees structure of MBA in Govindam Business School ? What are the exams required for doing MBA in Govindam Business School ? The exams required for doing MBA is CAT/XAT/MAT/ATMA in Govindam Business School. Write Your Reviews on "Govindam Business School Executive MBA"
Are you Interested in "Govindam Business School Executive MBA"? Please provide the following details. Ask Question on "Govindam Business School Executive MBA"?